An unprecedented collaboration between three cultural visionaries: DAVID KRAKAUER, champion of klezmer music and world-class clarinetist; legendary funk trombonist and arranger FRED WESLEY, celebrated for his work with James Brown and George Clinton; and hip-hop renegade and beat architect SOCALLED – Abraham Inc. heralds a time when boundaries are eroding, mutual respect is presumed, and musical traditions can hit with full force without concession or appropriation. Backed by a three-piece horn section led by Wesley, plus musicians who collaborate frequently with Krakauer and Socalled – and the result is an all-out klezmer-funk dance party! Says Krakauer, “Ever since I formed Klezmer Madness! in the mid 1990's I've been exploring the possibilities of adding funk, jazz, and lately hip-hop influences to klezmer… These explorations logically led me to my collaboration with Socalled, a kindred spirit in the search for that magic place where these styles can find a commonality of ecstatic trance. Widely considered one of the greatest clarinetists on the planet, Grammy and Juno nominated soloist, band leader and composer David Krakauer has been praised internationally as a key innovator in modern klezmer as well as a major voice in classical music. Krakauer's incredible journey has lead him to an astounding diversity of projects and collaborations ranging from solo appearances with orchestras to major festival concerts with his own improvisation-based bands. He has shared the stage with a virtual who's-who of artists such as the Klezmatics, Itzhak Perlman, Uri Caine, Leonard Slatkin, the Kronos Quartet and Iva Bitova. 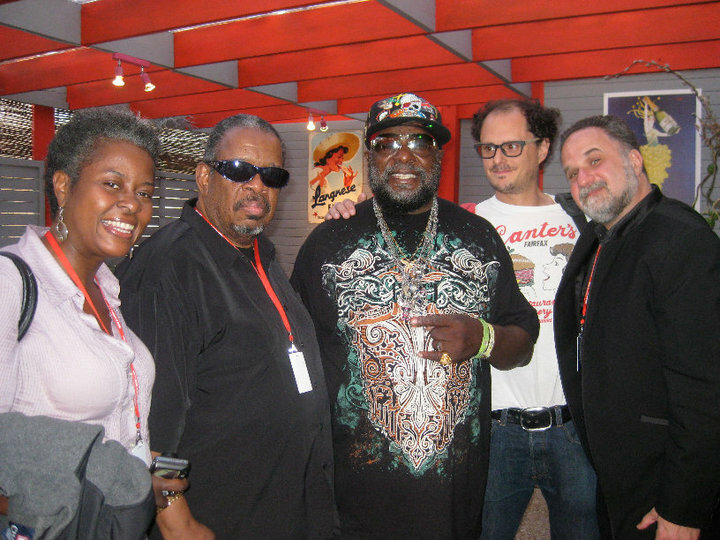 Krakauer's bands Ancestral Groove and Abraham Inc (which he co-leads with Socalled and Fred Wesley) tour and appear at major festivals internationally. 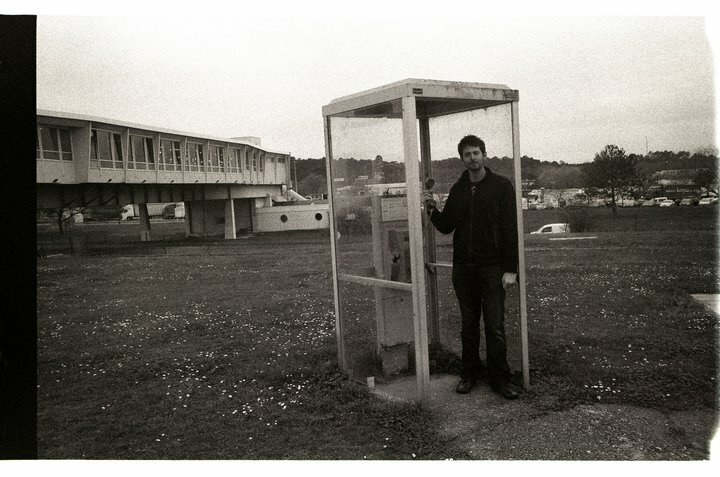 His latest project, "Breath and Hammer" with renowned South African pianist Kathleen Tagg, yet again re-contextualizes Krakauer’s sound in a completely different way by adding loops, samples and extended techniques to the acoustic duo of clarinet and piano. Krakauer’s discography contains some of the most important clarinet recordings of recent decades, including The Dreams and Prayers of Isaac the Blind (Osvaldo Golijov and the Kronos Quartet/Nonesuch – which received the Diapason D'Or); The Twelve Tribes (Label Bleu – jazz album of the year for the Preis der Deutschen Schallplattenkritik), Klezmer, NY (Tzadik), and Checkpoint (Label Bleu/Table Pounding Records). An esteemed educator, David Krakauer is on the clarinet and chamber music faculties of the Manhattan School of Music, the Mannes College of Music (New School), The Bard Conservatory, and NYU. Born in Columbus, Georgia, and raised in Mobile, Ala., FRED WESLEY began his career as a teenage trombonist with Ike and Tina Turner. He later was music director, arranger, trombonist and a primary composer for James Brown from 1968-1975, then arranged for and played with Parliament-Funkadelic and Bootsy’s Rubber Band. With Brown and as leader of his backing band The JBs, Wesley “was the world's most famous sideman, orchestrating the sinuous grooves and contributing the bold, surgically precise solos that defined the language of funk.” In teaming with George Clinton and Bootsy Collins, he played a key role in taking funk to the next level. Wesley is featured in the documentary film “Soul Power,” as well as the Oscar-winning “When We Were Kings” and countless other documentaries about James Brown and funk music. Author of the acclaimed memoir, “Hit Me, Fred: Recollections of a Side Man” (Duke University Press 2002), Wesley is one of music’s most-sampled musicians. Artists who have sampled his work include Janet Jackson (“That’s The Way Love Goes”) and Nas (“Nastradamus”). 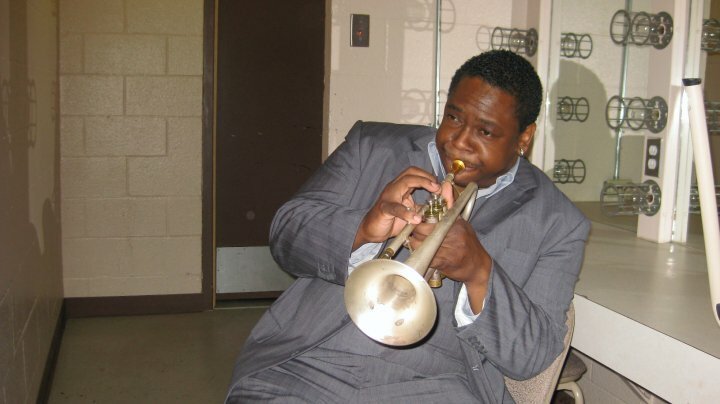 A veteran of the Count Basie Orchestra, Wesley also has worked with a who’s who of other artists including Ray Charles, Pancho Sanchez, Van Morrison, Usher, the SOS Band and Cameo, as well as with his close friends and cohorts Maceo Parker and Pee Wee Ellis. Today, he plays and records with his own jazz-funk band, the New JBs, and is one-third of the innovative “klezmer-funk” collaboration Abraham Inc. He also freelances as an arranger, producer and studio performer, and shares his wealth of musical knowledge with young musicians and music students in educational settings worldwide. SOCALLED is a musician, photographer, magician, and writer based in Montreal. He was born Josh Dolgin in Ottawa, Ontario and raised just north, in Chelsea, Quebec. As a kid he was always in musicals and drew cartoons for the Ottawa Citizen. He hated soccer. He was bribed by his mother to continue piano lessons until high school, then he picked up the accordion. He wrote for the newspaper and played in any kind of band – salsa, gospel, rock, funk – then discovered MIDI and hip hop. He worked with rappers, he made madd beats, he got into studios. He graduated from McGill and made a 50 minute animated film for the Canada Council, meanwhile writing for Hour Magazine and performing. He has now appeared on a dozen recordings as pianist, singer, arranger, rapper, writer and producer. He rocks the machine with David Krakauer’s Klezmer Madness!, sings with Toronto-based Beyond the Pale, performs with home-base band Shtreiml in Montreal, with LA-based the Aleph Project. He conducts the Addath Israel choir for High Holidays. Socalled performs and records widely with a crew of mixed-up freaks and geniuses from around the world, including Killah Priest, Susan Hoffman-Watts, Frank London, and Irving Fields. He has produced tracks for many rap acts, as well as the Greekbeat soundtrack for the award-winning documentary Man of Greece. His own documentaries and animations have won many awards at the McGill Film Festival. Socalled’s self-released EP “The Socalled Seder” was hailed in the Yiddish Forward as “one of the greatest works of Jewish music in years.” His second album, “Ghettoblaster” reaches back into the past and mines many varying influences rich with context. The entire album is an amalgamation of traditional and contemporary influences, evoking a sound reminiscent of the past while engaging listeners of all types. A magical mashup of musical traditions, Abraham Inc. unites three masters of their respective realms to create an irresistible new thing. It’s an inspiring, unexpected, danceable and delightful synergy of klezmer, anchored by world-renowned clarinet virtuoso David Krakauer; hip hop celebrated by the sampler-wielding, Canadian renaissance artist Socalled; and funk from Fred Wesley, one of the legendary architects of that genre.